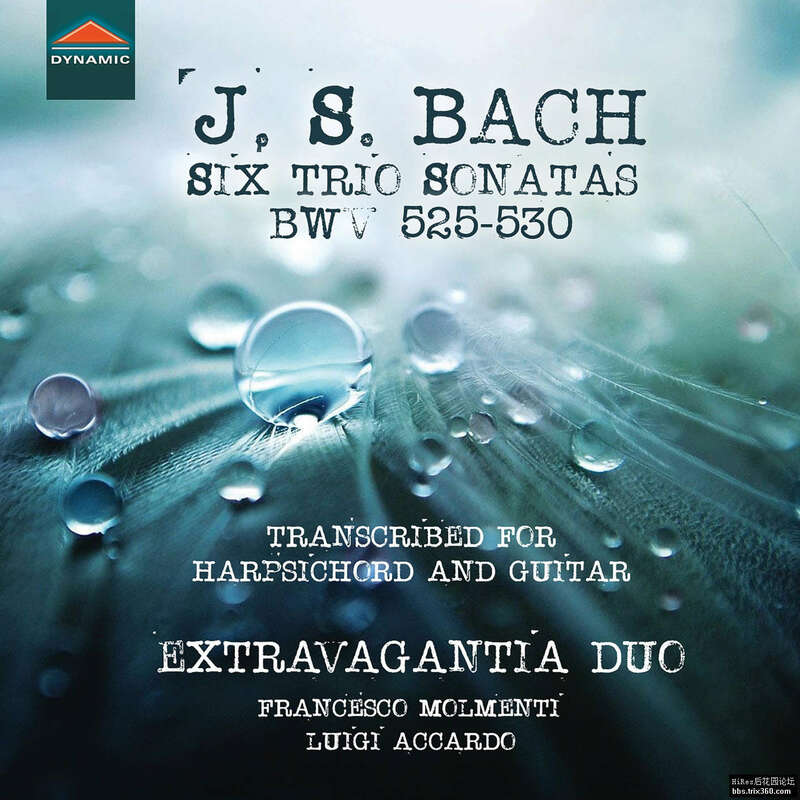 This album features new arrangements for harpsichord and guitar of Bach’s Six Trio Sonatas for Organ, BWV 525-530. 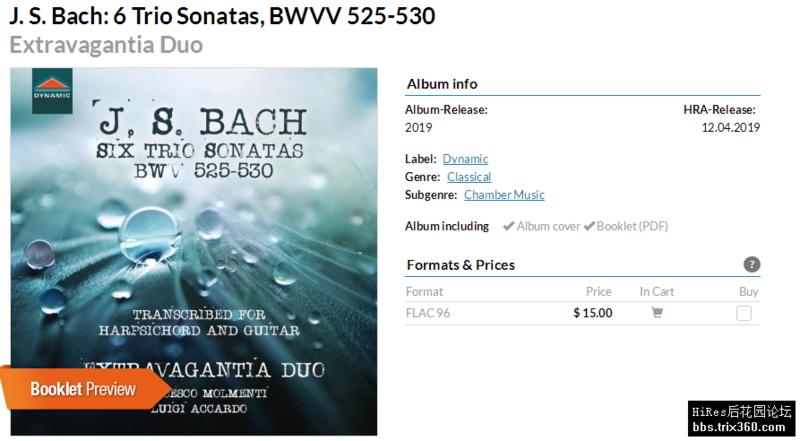 Extravagantia Duo, two talented and learned young musicians, met the challenge of transforming Bach’s organ masterpieces with a fresh approach, exploring traditional repertoire from an unusual perspective. Luigi Accardo and Francesco Molmenti dig deeply into Bach’s historical background and create a musical language of their own.